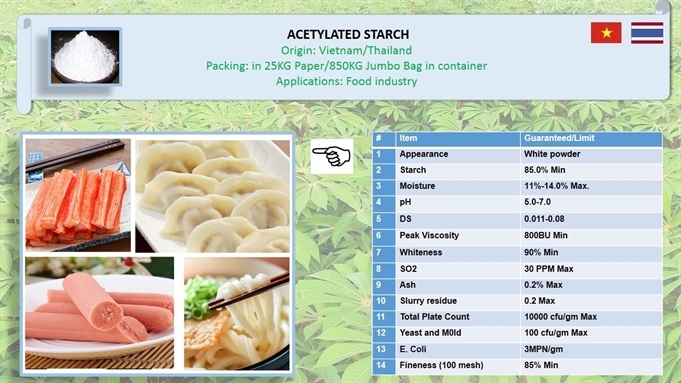 We modified our High quality Native Starch to control the Degree of Substitution required for different applications. The process reduced gelatinization temperature, and added many benefits such as preventing retrogradation effect by improving the water holding properties, its fluidity with a higher solubility and swelling power for a final texture more soft and less adhesive. Overall acetate brings stability to products to be cooked or frozen and facing intensive processing. 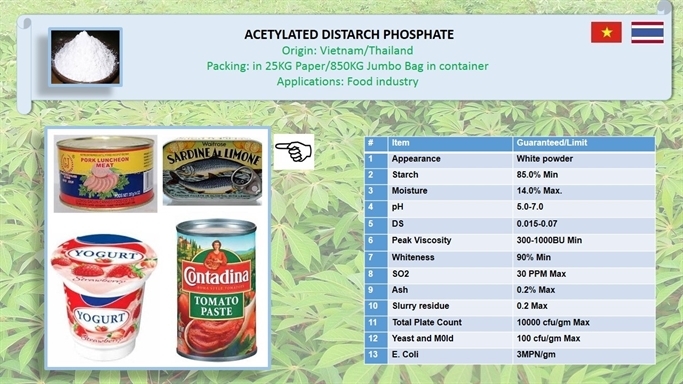 Acetylated Distarch Phoshate is very good for use in the field of common food processing such as: yogurt, chili paste, tomato paste, soup, jelly sandwich, sausage, canned food, baked and frozen food. 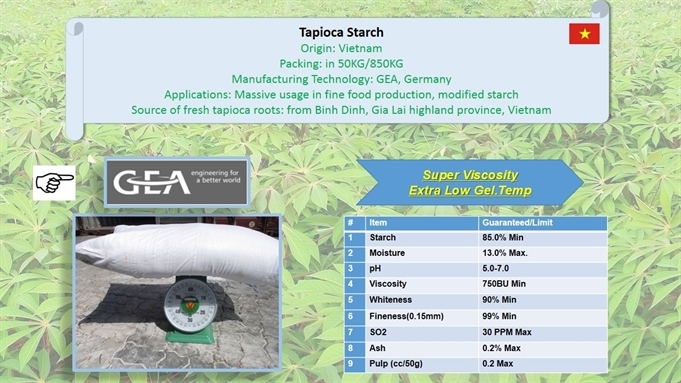 We offer super high grade and high grade native tapioca starch made with technologies from Germany for food clients, outstanding pureness, extra low SO2, stable whiteness, fineness up to 99%. Best solution for fine food process industry. We also supply modified starch to our food client as total solutions.